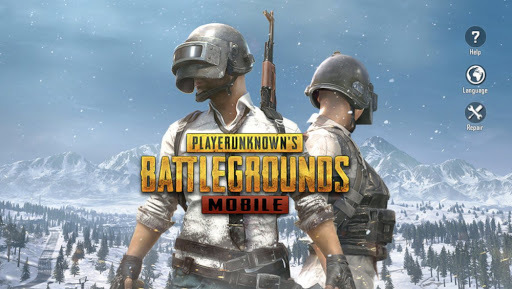 Hingoli, March 18: Just a few days after some Indian states banned PlayerUnknown's Battlegrounds aka PUBG, a shocking case has been reported from Maharashtra, two people engrossed playing the battle royale game were knocked by a running train in Hingoli district on Saturday. The death by negligence took place at Khatkali Bypass in Hingoli, around 600 kilometres from Mumbai. PUBG Players Arrested in Rajkot After Ban on PlayerUnknown’s Battlegrounds Game. "Nagesh Gore (24) and Swapnil Annapurne (22) were playing PUBG near the railway tracks. They were run over by the Hyderabad-Ajmer train. Their bodies were found late at night by people living in the vicinity," police said on Sunday. A case of accidental death has been registered at Hingoli police station. In another shocking case reported from Nashik, a 14-year-old boy tried to commit suicide after his mother didn't allow him to play PUBG. According to ABP Majha report, the boy, identified as Akash Ostwal, was playing a game on his mobile on Friday when his mother snatched the smartphone. Angry over this, Ostwal consumed poison. Currently, the boy is undergoing treatment in a private hospital. PUBG Saves Kerala Couple's Marriage From Being Called off; Here's Their Story. The popular online multi-player game has been criticised by many as some experts believe that the game is highly addictive and leads to violent behaviour in youths and kids. Citing this, several cities across the country have banned PUBG. Earlier, Gir Somnath, Bhavnagar, Rajkot, Vadodara, Surat and Ahmedabad imposed a ban on PUBG. Along with battle royale game, suicide game MOMO challenge was also banned. On March 6, Manoj Aggarwal, Rajkot Police Commissioner imposed a ban on PUBG. "The game (PUBG) is having an impact on studies as well as behaviour, conduct and language of children and youth… Keeping in mind public safety security and to maintain law and order, I hereby impose a ban on playing PUBG game/MOMO challenge,” states the notification.